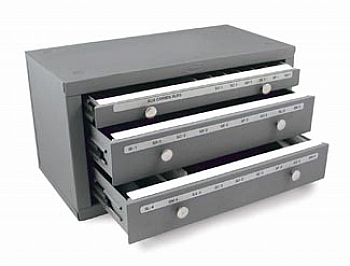 All steel welded construction with 3 drawers keeps all your burrs organized. Has one-piece drawer slides with a tough epoxy powder coating. Can be stacked with other units.